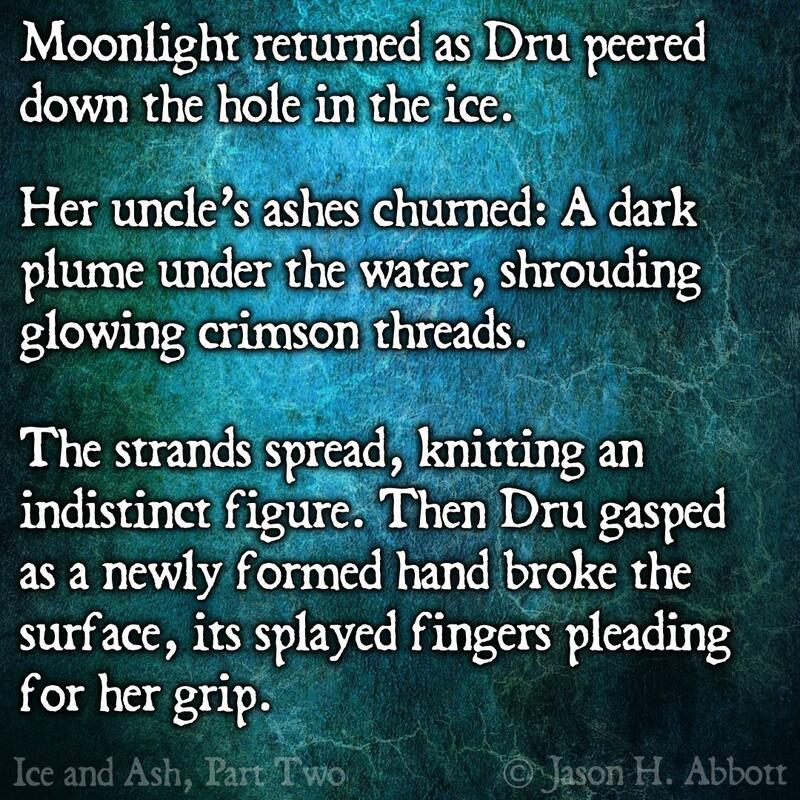 Moonlight returned as Dru peered down the hole in the ice. Her uncle’s ashes churned: A dark plume under the water, shrouding glowing crimson threads. The strands spread, knitting an indistinct figure. Then Dru gasped as a newly formed hand broke the surface, its splayed fingers pleading for her grip. Click here to read all prior installments of Ice and Ash in order.